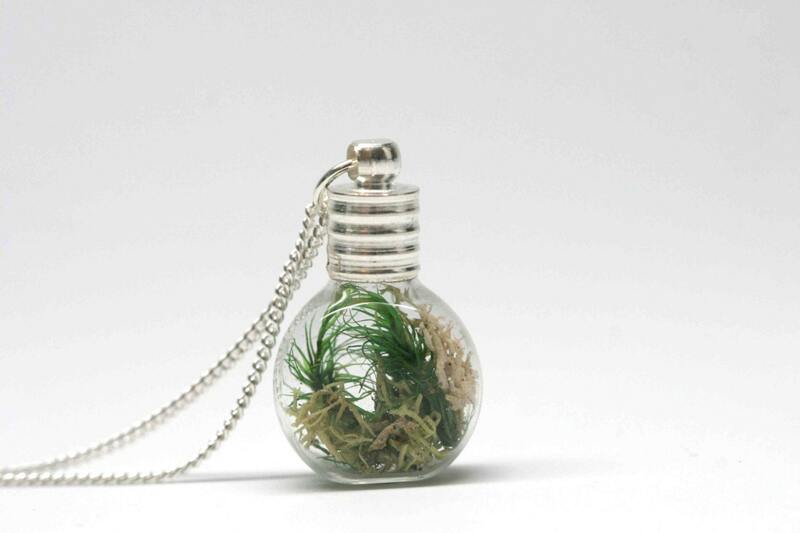 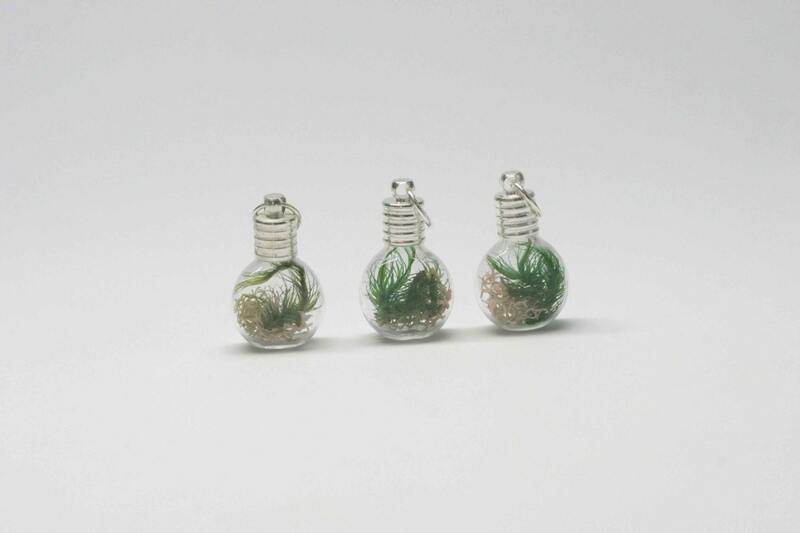 Tiny moss terrariums in a glass bottle pendant with a shimmery silver colored top. 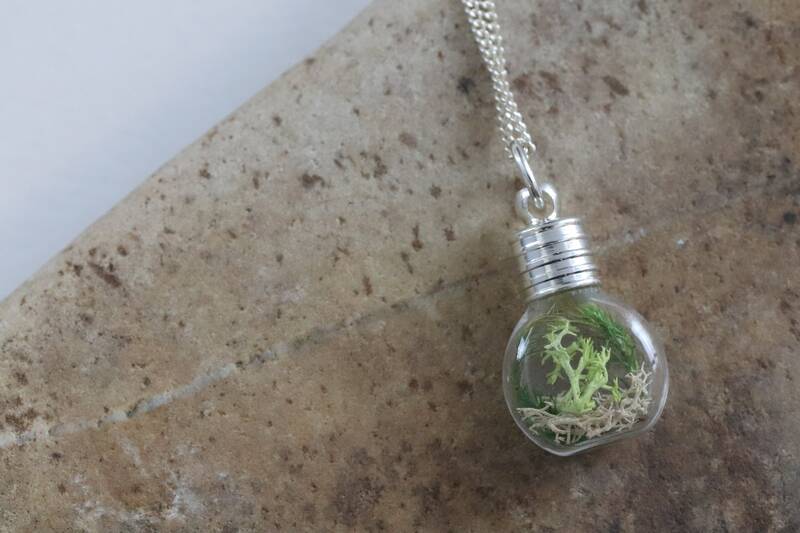 Hangs from a white silver colored 16" chain with a lobster clasp which is included with each pendant! Moss green, shimmery silver, and glass all make this a must for the nature lover. 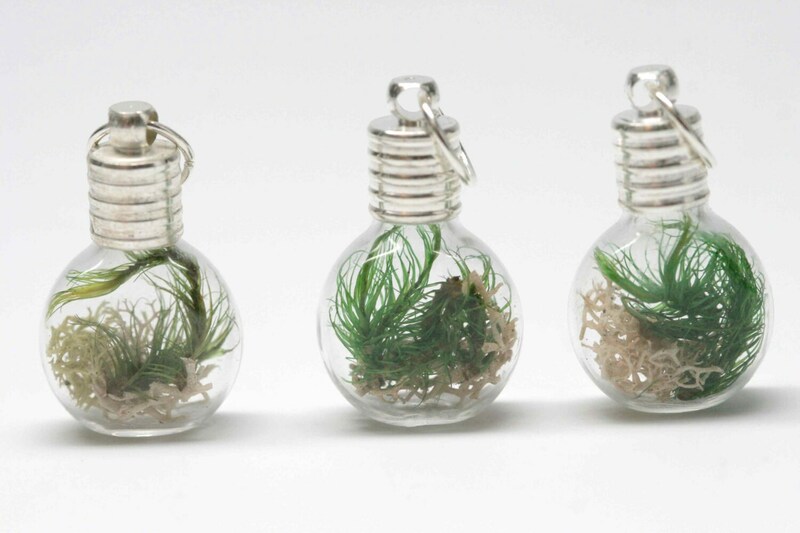 The colors will not fade, and there is no need to water the plants. 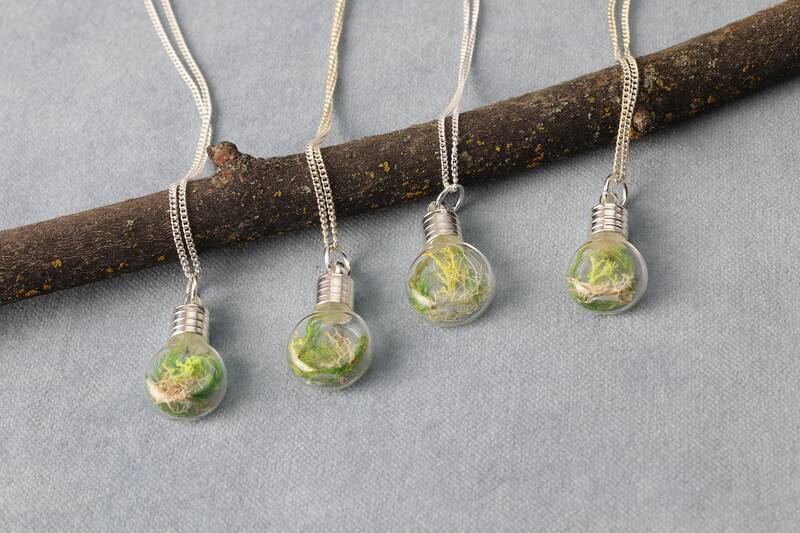 Each pendant will vary slightly due to the handmade nature of the item.